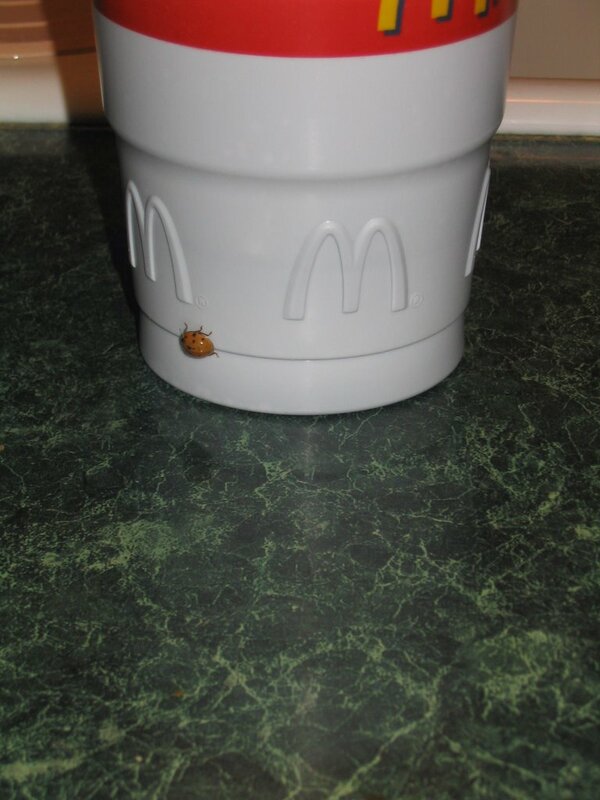 My son pointed out this sweet ladybug crawling across my McDonald’s cup last Friday. I am not really superstitious, actually I’m not at all superstitious, but for some reason seeing this little lady scurrying across my cup gave me the warm feeling that maybe our dossier is going to be logged in soon. It has been almost 3 weeks and I am so looking forward to having a date to start counting from! Travel Approvals (TAs) usually take about 60-90 days to arrive after a dossier is logged in. We’re hoping and praying to be on the shorter end of that spectrum (of course! )… but we know that it will all work out according to the Big Guy’s plan.